Guernsey won gold in the team head-to-head compound, to add to their four silvers, at the 2011 Island Games. The team of Mike Appleqvist, Kieran Kelly, Andrew Marquand, Michael Marquand, Zoe Gray and Laura Le Page edged out the Faroe Islands 211-210. 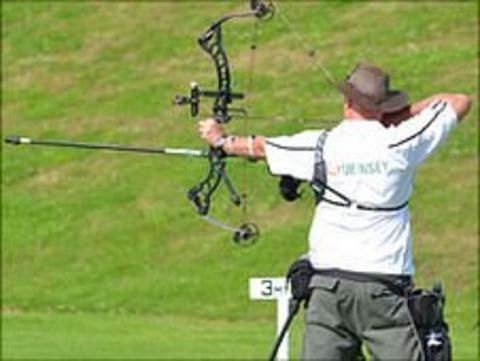 Appleqvist said: "We've done exceptionally well, beating the Faroes who are so dedicated to their archery. "We even had a miss during the shoot and we still beat them, which is something really, really special."